National Coffee Day is next week on September 29th and since I'm truly passionate about good coffee, I wanted to make something special for the occasion in advance. 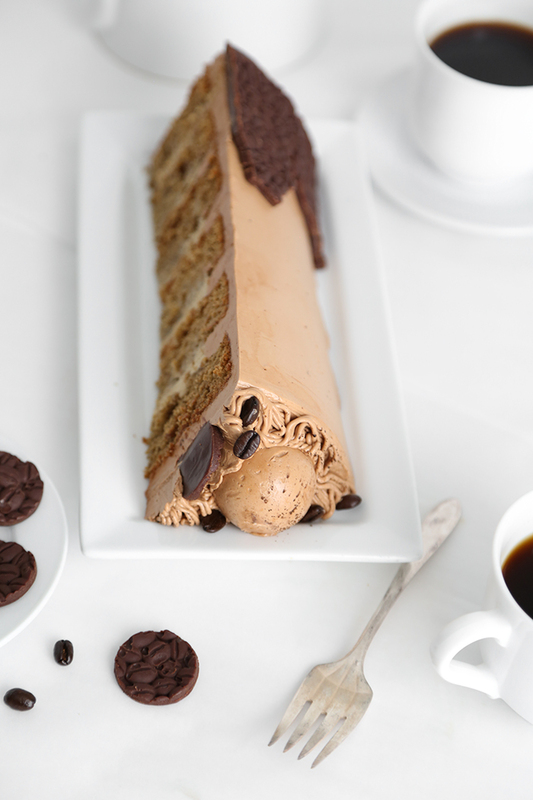 Cue this Wicked Espresso Cake, a.k.a. any coffee lover's dream come true! 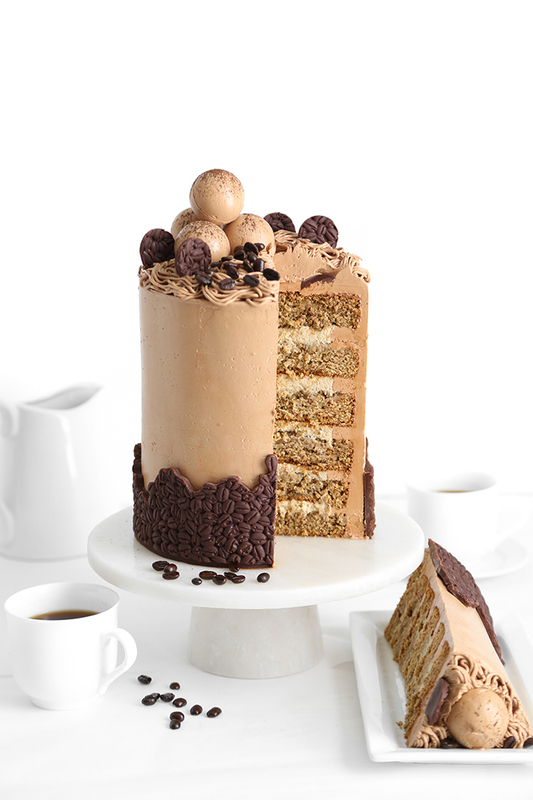 It's a towering confection built with six espresso-infused cake layers, filled with coffee crème légère, and frosted with chocolate-espresso French buttercream. Sounds pretty good, yes? Not only is it crazy town delicious, this cake has another purpose! I'm partnering with my friends at Fair Trade Certified, who - needless to say - are also passionate about good coffee. Together we are hoping to inspire people to choose a single cup of Fair Trade coffee on National Coffee Day. If everyone in the U.S. participates, we can send much-needed funds to projects in coffee-producing communities. This is such a little thing that you can do as a consumer to help coffee farmers across the globe. These farmers face hardships every day like extreme poverty, food and water shortages, vulnerability to climate change and disease, volatile market prices, and labor rights abuse.​ You can learn more here, at the #JustOneCup info page! It's not often that inspiration arrives at your doorstep, but that's just what happened when Fair Trade delivered a gorgeous box of coffees from their producers. 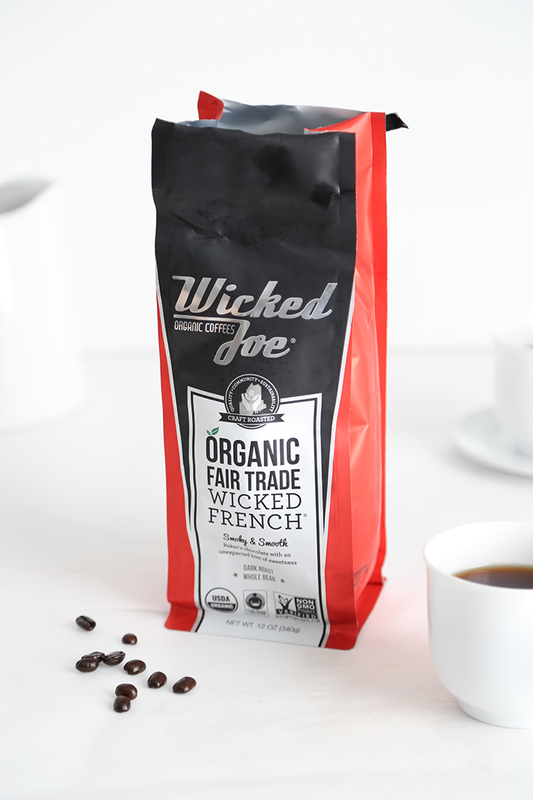 All of the coffees looked amazing, but Wicked Joe's Wicked French coffee beans with baker's chocolate (helloo!) 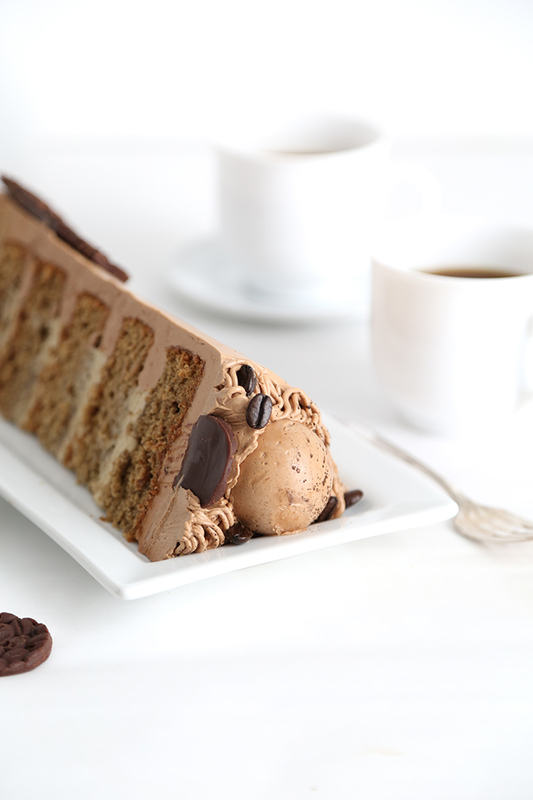 and smoky undertones seemed like just the thing to use in a dreamy coffee-infused cake. Hold on to your egg yolks, because you'll be using quite a lot of them in the French buttercream alone. I'd almost forgotten how deceptively light French buttercream is, especially knowing how many yolks and butter are involved in its making. Pastry cream is a well-loved cake filling, but I love it even more when it is lightened with a bit of chantilly. The end result is crème légère, or light cream. The ratio of pastry cream to chantilly varies according to the chef's preference, and I've included my favorite formula in the recipe text. Feel free to increase or decrease the amount of chantilly to your liking. I wanted to do something different for the cake's decor, so I ditched my overly-used star piping tip for a multi strand (or grass) decorator piping tip. What a fun effect! It reminds me of the classic French dessert known as Mont Blanc. It also reminds me of Ramen noodles' squiggly appearance. Wilton decorator piping tip #233. 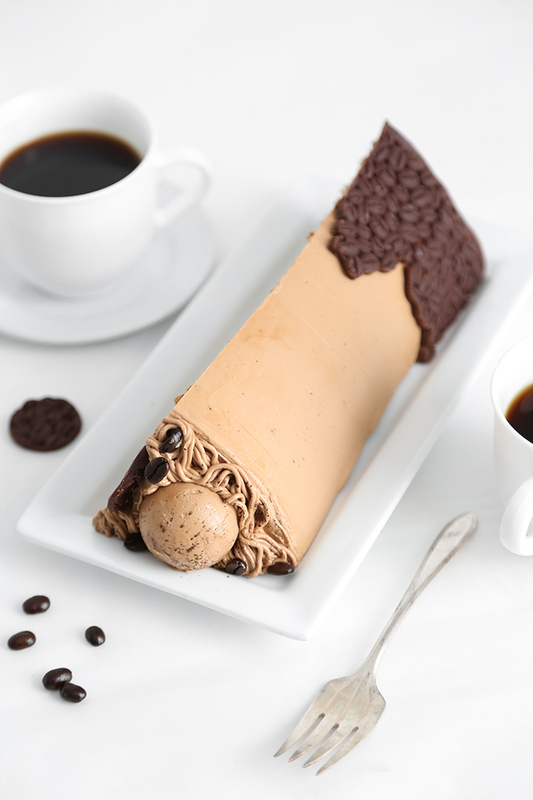 The chocolate coffee bean collar around the bottom of the cake was made using a coffee bean impression mat. This was gifted to me years ago, and I'm always eager to find news ways to use it. You can find it for purchase here. It may seem a little pricey but it's quite large. It appears that there are other good options available for much less, such as this 29 x 3.5 mat. The decorative orbs on top of the cake are simple to make using a half-sphere mold and some leftover French buttercream - and here's how to do it! First, pipe the buttercream into the molds, smooth with an offset spatula and freeze the mold for about 15 minutes. Pop the half spheres out and affix two halves together using room temperature French buttercream as glue. Store the assembled orbs in the freezer until you're ready to use them as decorations. I truly wish the above picture was scratch-and-sniff, because the entire workshop smelled like a busy coffee shop after slicing this cake. The end result is so lovely and, as I said earlier, deceptively light! 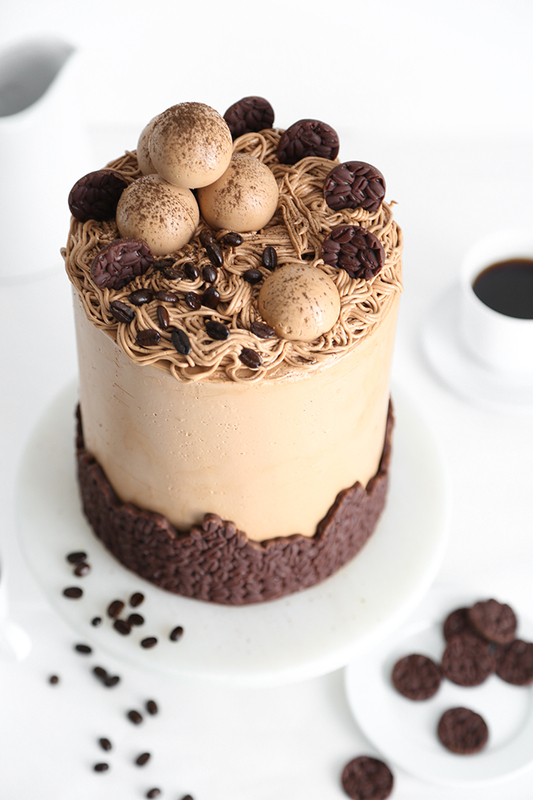 The cake layers have a small amount of texture from the ground espresso added to the batter, which nicely contrasts all the lightness in the filling and frosting. Even the final garnish of Wicked Joe's glossy dark coffee beans were perfect on top. They are so expertly roasted that they crunch between your teeth without a hint of woody texture. They'd be a perfect candidate for homemade chocolate-covered coffee beans, if you ask me. Admittedly, this cake is a bit of a production, but the end result is more than worth the effort! Bakers who REALLY want to get their bake on (raises hand) won't find it to be a chore, especially when the components are based on tried-and-true pastry fundamentals. It's especially good exercise for those looking to practice their egg-tempering technique. This tall cake is a lovely centerpiece for a gathering, but if you're not looking to serve a crowd of 20, the recipes can be halved. Remember to visit Fair Trade's #JustOneCup landing page for all the info about the challenge, and also find special discounts on Fair Trade Certified coffees! This recipe can be halved for smaller yield size. You’ll need a half-sphere chocolate mold to create the buttercream orbs, and a coffee bean impression mat to make the chocolate collar and decors. See blog post for links to resources. Coat six 6-inch round cake pans (or four 9-inch pans) with flour based baking spray. Dissolve the espresso in the hot water by stirring in a small bowl and set aside. Sift together flour, baking soda and salt into a separate bowl, and combine granulated sugar with the half cup brown sugar in a separate bowl also; set these aside. Mix 1/2 cup of sugar mixture, butter and 2 teaspoons vanilla in the bowl of an electric mixer on low speed until well combined. Increase to medium speed and add remaining sugar mixture about 1/4 cup at a time, beating at least 15 seconds after each addition. Scrape down sides of bowl and beat 5 more minutes. Add the six eggs one at a time, beating for 1 minute after each addition. Add dissolved espresso, then add the flour mixture and buttermilk alternately, beginning and ending with flour mixture. Pour the batter into the prepared pans and bake 30-40 minutes or until a pick inserted into the center of the cake layers comes out clean. Cool in pans 10 minutes on wire racks, then turn the layers out on the racks to cool completely. 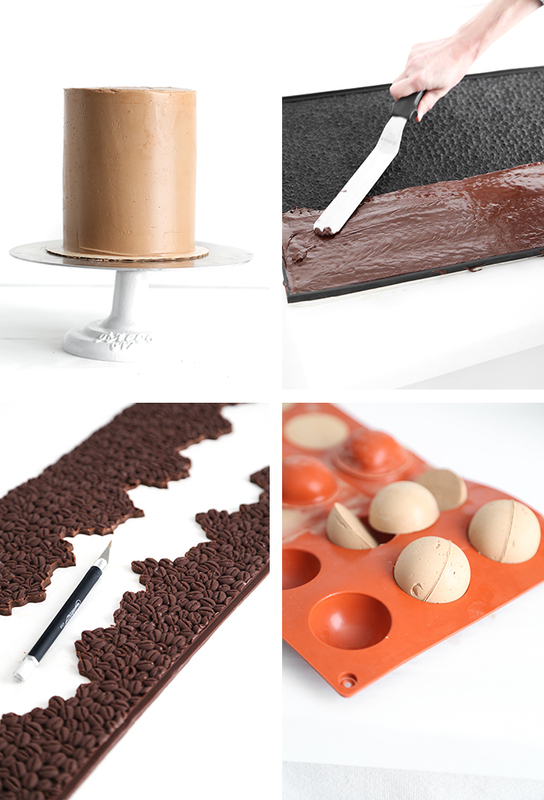 Level the cakes using a cake leveler or a large serrated knife. Dissolve espresso powder in 2 tablespoons hot water in a small bowl and set aside. In a small bowl, dissolve in the cornstarch in 1/2 cup of the cold milk. Beat the eggs, then the yolks one at a time into the cornstarch mixture. In a saucepan, combine the remaining milk and the sugar; bring to a boil, whisking constantly until the sugar is dissolved. Remove from heat. Slowly pour a third of the hot milk into the egg mixture while whisking constantly to temper the eggs. Return the remaining milk in the saucepan to medium low heat and pour the tempered egg mixture into the saucepan in a thin stream, whisking so as to not scramble the eggs. Increase the heat to medium-high and whisk constantly until the mixture begins to boil. Remove from heat and whisk in butter, vanilla and espresso. Strain the pastry cream through a sieve into a bowl to remove any lumps. Press a sheet of plastic wrap directly onto the surface of the pastry crème, so it does not form a skin. Refrigerate until firm, about 2 hours. When the pastry cream is set, whip 1 cup heavy whipping cream and 1/4 cup sugar in the bowl of an electric mixer, whisking on high speed until a thick, fluffy consistency is achieved. Fold the whipped cream into the cooled pastry crème until a light, fluffy consistency is formed (crème légère = light cream, in this case meaning lightened pastry cream). Place the egg yolks into a stand mixer bowl and beat with the whip attachment on medium high speed until thick and light yellow in color, about 7-10 minutes. While the yolks are whipping, combine 2/3 cup water and sugar in a small saucepan. Heat the sugar without stirring over medium high heat until the temperature of the mixture reaches 238F/115C on a candy thermometer. (Note: during cooking, use a pastry brush dipped in water to dissolve any crystalized sugar building up on the inside of the pan.) Keep the stand mixer running on medium speed and carefully pour the hot sugar syrup in a thin, slow and steady stream into the egg yolks. Once all the sugar syrup has been added, increase to high speed and, with a timer set, whisk for 7 minutes, or until the mixture is thick and pale in color. The mixing bowl should be lukewarm to the touch. If it is hot, keep mixing until the bowl cools to lukewarm. Remove the whip attachment and replace with the paddle attachment. Add softened butter 1-2 tablespoons at a time, mixing for about 15-20 seconds after each addition, and scraping down sides of bowl often so that all the butter is mixed in well. The mixture may appear to deflate at first, but it will begin to thicken as more butter is added. After adding all the butter, add the melted chocolate, salt, and dissolved espresso. Mix again for a few minutes until a uniform, fluffy frosting forms. Place 2/3 of the frosting in an extra-large piping bag fitted with a plain 1/2-inch tip. 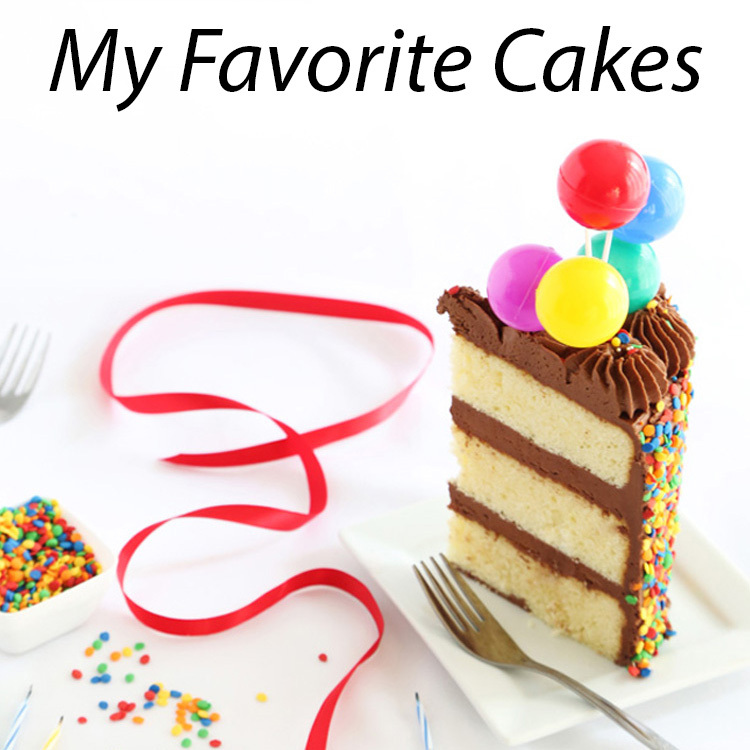 Place one cake layer on a serving platter or cake stand. Pipe a line of buttercream on the top edge of the cake. Fill with coffee crème légère. Place a cake layer on top of gently press the two layers together. 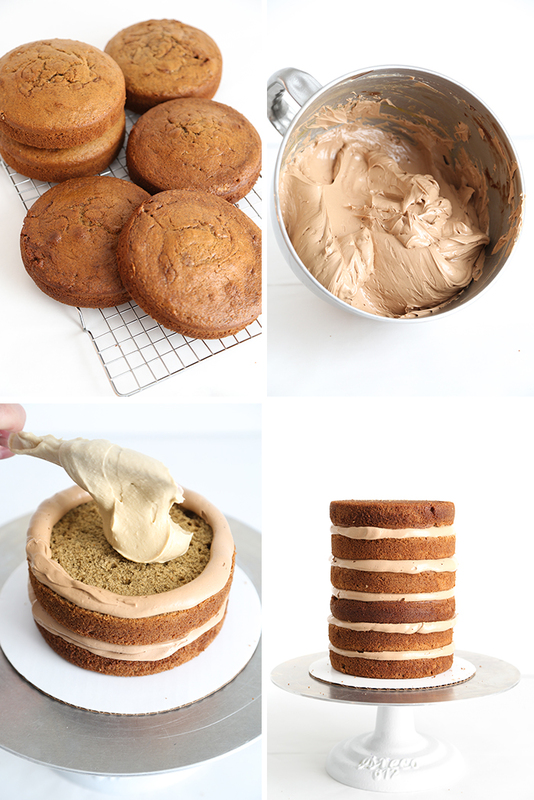 Continue the piping and filling process, and end with an unfrosted cake layer on top. (This is a tall cake, so feel free to add a dowel down the center if you feel it’s a bit wobbly or unstable. We did fine without one.) 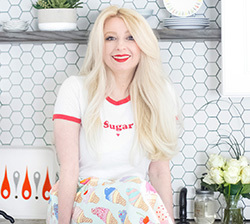 Cover the entire cake with a crumb-coat of buttercream frosting. Chill until firm, about 20 minutes. 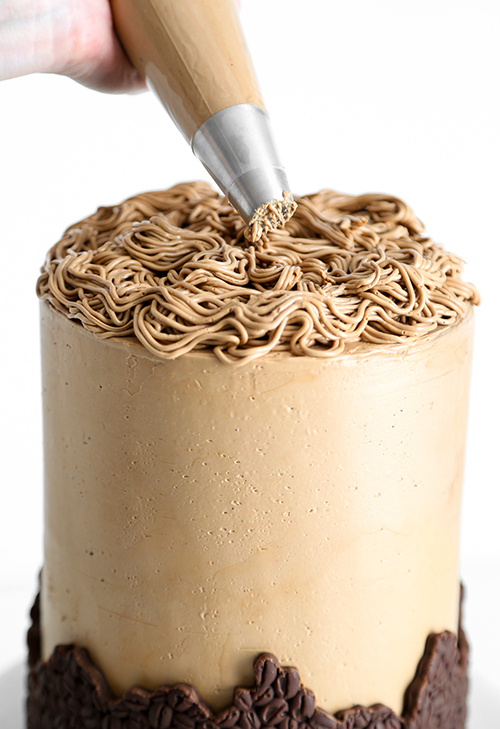 Apply a second thicker coat of buttercream to the cake and smooth using an offset spatula or a bench scraper. Use leftover frosting to create buttercream orbs using a half-sphere mold (see blog post for details). Melt the 10 ounces of chocolate in a medium bowl the microwave at 30 second intervals until melted and smooth when stirred (no lumps!). Add the corn syrup and stir until well-combined and thickened but still pourable. Pour the chocolate over the bottom 1/3 of a large (16-inch or greater) impression mat with coffee bean motif (see post for resources). Chill in the refrigerator until firm. Flip the mat over and peel away to reveal the coffee bean texture. Using a kitchen-dedicated X-acto knife, trim around some of the coffee bean impressions so that the top of the chocolate piece is various heights (slight zigzag fashion). Use a small round cookie cutter to 4-6 rounds from the leftover chocolate. Transfer remaining frosting to a piping bag fitted with a grass tip (#233 Wilton) or other multi strand piping tip. 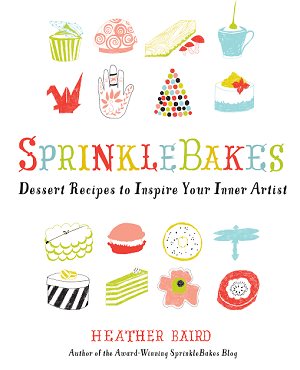 Pipe frosting on top of cake, swirling the strands to-and-fro in wavy patterns or the motion that makes you happiest. 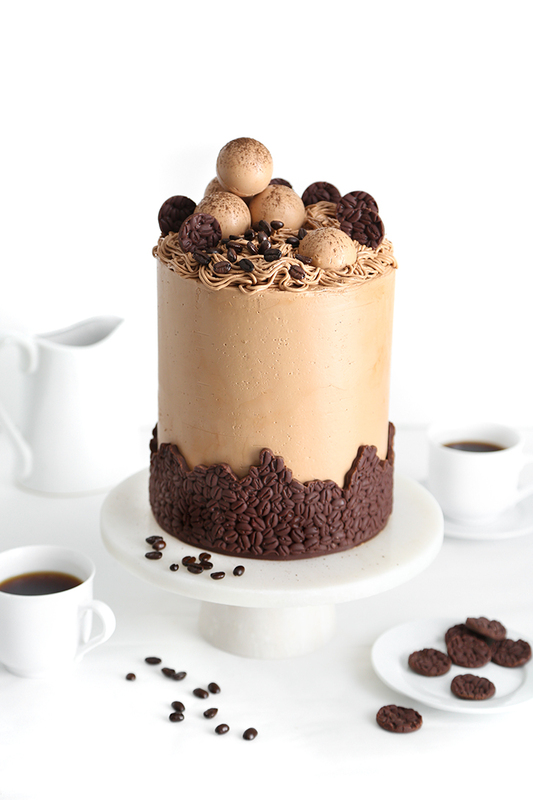 Top the cake with buttercream orbs, chocolate pieces, and coffee beans. Place the chocolate collar around the bottom edge of the cake and trim to size; press to adhere. Store the cake in the refrigerator. Bring to room temperature before serving. Cake layers recipe adapted from Cooking Light Way to Bake (Oct.2011). Other formulas are pastry fundamentals or original to this website. Special thanks to all of the Fair Trade vendors who contributed their products to the making of this cake: Guittard, Wholesome, Wicked Joe Organic Coffees. This cake is STUNNING!!! I love coffee anything and this cake has my name written on it! SIX LAYERS?! O M G! I want this cake! You know what I love about your creations? 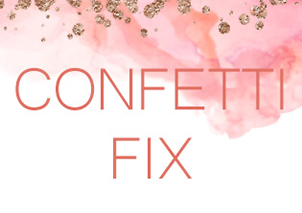 Not only are they always showstoppers, but you share exactly how you make them. This might be the nicest comment/compliment that anyone has given me! Thanks so much for your kindness and support, Colette! I'm so glad you enjoy my sweets. I love everything about this cake and thanks for all the tips. I only had a taste of espresso whenever we go to coffee shops with my friends, but this dish took it to a whole new level. Even my sister would love to try this dish at home too! 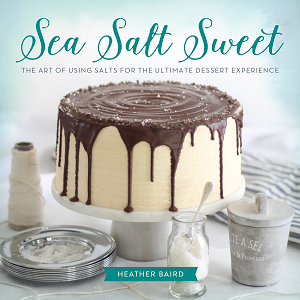 Thank you so much for sharing your insights, Heather! Wow! What a lovely recipe idea this is. Just love this so much & can't wait to try this out. Thanks for sharing. Do you finely grind the coffee beans first and then measure or measure and then grind? Phenomenal & brilliant post. Really so much informative also. Love this. Quick questions . . . in the cake batter, do you use 2 cups of softened butter or 1? In the parentheses it says 8 oz. Planning to make this and just want to make sure I do it right. Thanks! Hi Sheri, the correct amount is 1 cup, 8 oz. 226g. 2 cups is a typo!